Listen to my latest podcast episode: Invested: Ep. 208- Jacob Taylor Author of "The Rebel Allocator"
like the best investors in the world. 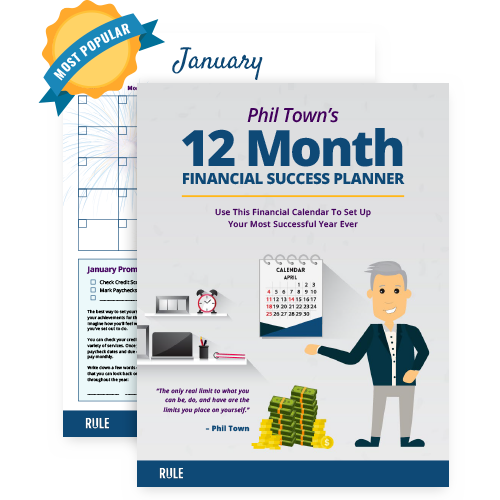 Follow this step-by-step guide to organize your finances in the new year. Whether it's starting to invest or getting out of debt, this guide will set you up for success with monthly milestones and reflections. Ready to invest like a millionaire? It’s never too early to start planning for the future and learning how to invest. Find out how prepared you need to be and how much money you’ll need to retire early. Learn how to generate great returns by investing in the right business at the right time. You don’t need to be an expert to invest like one. Rule #1: Don’t lose money. The best investors in the world use this rule to invest with certainty. As a Rule #1 Investor, you aren’t investing in stocks, you’re investing in a wonderful business at an attractive price to generate consistent returns. Sign up for the Rule #1 newsletter!